In March 2017 an international group of artists, scientists, architects and philosophers left the port of Ushuaia (Tierra del Fuego, Argentina) bound for the Antarctic Circle – onboard the scientific research vessel Akademik Sergei Vavilov. They would make landfall at numerous sites on the world’s southernmost continent throughout the next two weeks. At each location, artworks, exhibitions and performances were realized. Mobility, site-specificity and ecological compatibility were key touchstones. Nothing was left behind and no audience was present, except the participants themselves and – of course – Antarctica’s native species. Actions included a landscape photography exhibition for penguins (they didn’t seem to get much out of it) and an underwater installation for whales. In addition to onshore interventions, throughout the expedition, the vessel itself served as a floating studio, exhibition, installation and performance space; a photo lab, and conference facility. Onboard activities included symposia, debates, and a daily screening program featuring commissioned videos by international artists. Throughout, the focus was on the question ‘What potential does the Antarctic Imaginary hold?’– for exiting polarized identity politics, and ecological insensitivity in public culture. Also, on dialogues leading to future cross-disciplinary collaborations. For the project’s Commissioner, Alexander Ponomarev and the Organizing Committee, the enterprise was ventured in the belief that this remote region must be made more proximate; that the last continent is a fertile site for new beginnings. This year, The Antarctic Pavilion presents documentation of this 1st Antarctic Biennale – a paradigm-shifting phenomenon in biennale culture: A hot-house in a frozen realm, without mobile phones, internet, ready audience, or escape to another cocktail party, throughout this biennale everyone was in the same boat. While its expedition is complete, its collaborative outcomes are just beginning. 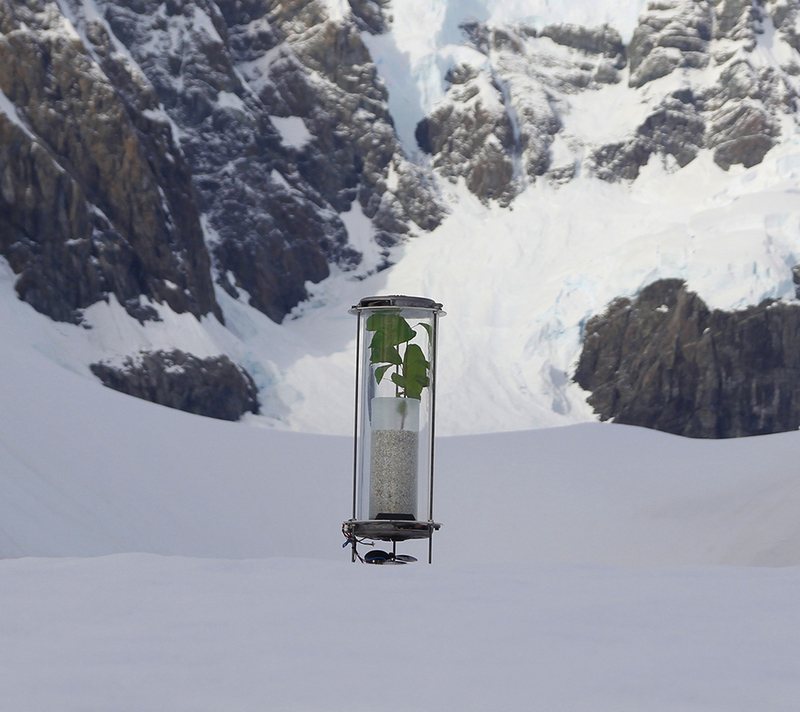 In addition to documentation of the 1st Antarctic Biennale, this year’s Antarctic Pavilion debuts a series of newly commissioned works exploring the aesthetic, conceptual and mythic paramaters of the Antarctic Imaginary.